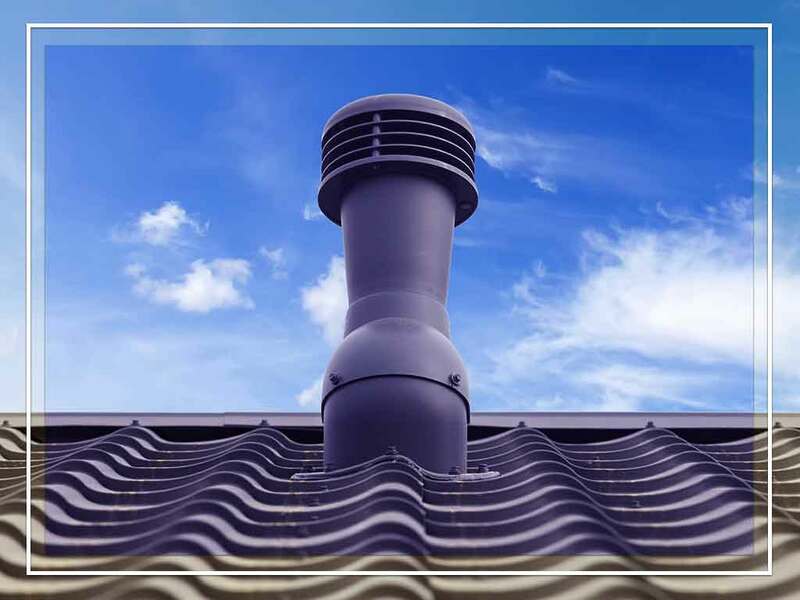 Proper ventilation is vital to roof health. Without it, your home would not only be prone to damage, but it would also be less healthy and energy-efficient. Experienced roofers would tell you that the number one culprit behind ice damming is an improperly ventilated attic. Ice dams happen when the plane of the roof is warmer than the edges, making snow melt only to refreeze along the gutters. The warmth comes from the hot attic, which is unable to expel excessive moisture and heat without proper ventilation. By having a balanced system of intake and exhaust vents, you can minimize ice damming effectively. Heat buildup in the attic can make the rooms below hotter, making your AC work harder. Increased energy usage every day adds up, surprising you with an unusually high electric bill. Optimizing the airflow in the attic keeps the air dry, too. The moist air rising from the rooms below could easily escape your home instead of causing condensation. Without adequate attic ventilation, condensation can with time weaken the foundation of your roofing system. Mold needs three things to grow: food, moisture and oxygen. An inadequately ventilated attic sets the stage for its growth. Before you know it, mold colonies might be all over your space and cause structural damage to building materials like wood. In the summer, an overly hot attic can fry your asphalt roofing shingles from the inside. The extreme temperature does nothing but accelerate the deterioration of the materials. But if your home can regularly breathe out warm air, you can naturally regulate your attic climate. Rogers Roofing can inspect your roof to ensure your attic ventilation is adequate and spot possible issues. Call us at (773) 492-2270 or (219) 228-8210 to talk about your roofing needs, and get a FREE estimate. We serve the homeowners in Orland Park, IL, Crown Point, IN, and the rest of Northwest Indiana.